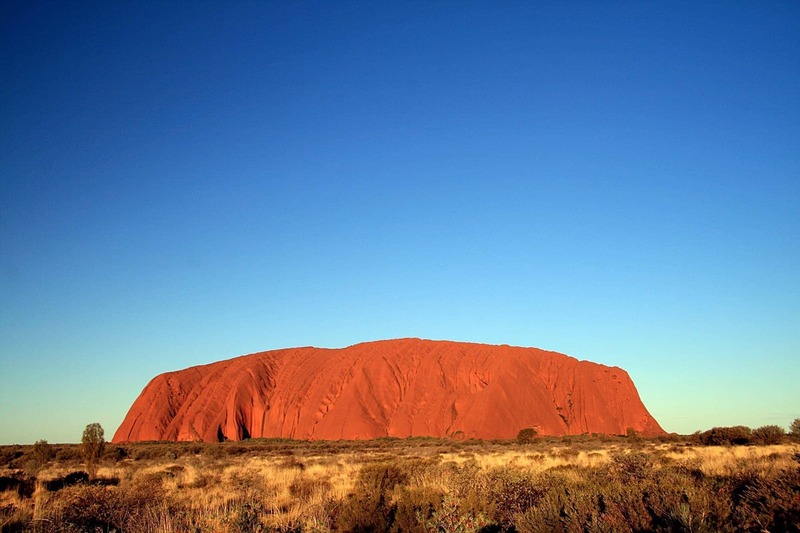 Home » Destinations » Australia » How much does it cost to travel in Australia? I have waxed somewhat extensively on this blog about the 60,000km year long road trip I took around Australia last year. But what I have failed to mention, thus far at least, is what this sort of trip is likely to cost you, should you decide, as I did, to down tools and head out into the wide blue yonder. So now I will rectify that. 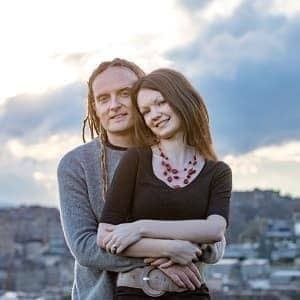 The bottom line, is that a year in Australia, with all of that travel, with food, with insurance, with flight tickets, with a vehicle, with all those kilometres, cost me just about £12,000, or £32 a day. And here, in case you were wondering, or thinking about doing something similar, is how that broke down, and where money can be saved. Note that this is written largely from the perspective of coming over from the UK under the working holiday visa scheme, but there is certainly plenty that would apply to most travellers here! If you’re travelling for any period of time, travel insurance is an absolute must, in large part for the medical cover that it provides you should something unfortunate happen to you on your trip. If you’re coming from the UK, you will be covered under a reciprocal agreement under the Medicare scheme, but this won’t cover you for things like repatriation. Insurance from a reputable company is therefore a must. Luckily Australia isn’t considered too high of a risk, so insurance for a full year is reasonably priced. Many insurers will do “backpacker” or “gap year” insurance policies which are usually fairly cheap and will cover most of the basics. Clearly, the more cover you want, the more it will cost. Expect to pay in the region of £150 – £300 for a year of cover, more if you have big ticket items to insure like laptops or digital cameras. Remember to always read the policy wording carefully to see what you are signing up for and what the terms and conditions are. Lets face it, Australia isn’t exactly close to a lot of the world, so flights here aren’t ever going to be particularly cheap. A return flight from the UK / Europe is likely to cost you at least £1000. Check out all the usual deal sites and flight search engines, but don’t expect to get to the other side of the world for a song. This, for me at least, was the biggest cost. I wanted to see all of Australia in a year, and it is a somewhat large place. Plus I wanted to get to a lot of places that are inaccessible to normal vehicles, which meant either getting my own transport, or signing on to a lot of tours. As I wanted to go at my own pace, my own transport seemed like the way forward. And for a year, the most cost effective way of doing that was to purchase my own vehicle. Fluffy in the Western Lost City. The second hand vehicle market for travellers is pretty active in Australia, with key buying spots being Cairns, Perth and Sydney. Prices fluctuate based on demand and availability, with prices being lower in the quieter seasons (think Winter in Sydney) and higher in the busier seasons. Of course, if you are travelling for a year, this largely cancels itself out, as any saving you make on purchase will be lost when you come to sell. We bought, therefore, a second (or possibly fourth) hand Toyota Landcruiser, 1991 model, for £4000. Of course, if you aren’t into four wheel driving, or you want something more like a camper van, then there are a myriad options. A popular option is to get a station wagon, which you can sleep in the back of. Prices range from about £1000 upwards, and naturally, you can spend as much as you can afford. Once you have chosen your vehicle, don’t forget to budget for additional equipment you may need, like camping gear, tents, etc.. some travellers vans will come fully equipped, other won’t. Once you have your vehicle, you then need to factor in the cost of ongoing maintenance, repairs and of course, fuel. It will also need to be taxed and insured. Expect to pay in the region of £300 for the latter, and then however much the gods choose to charge you for mechanical damage as you go. In our case we had to get a new radiator, multiple new tyres, new rear differential, new battery and snorkel as well as oil and filter changes every 10,000km or so. Fuel is of course the other main cost – in fact on a trip like this, fuel accounts for a serious majority of what you are likely to be paying. We averaged around 15 litres of fuel per 100km, although that is higher than most cars as we had a big heavy vehicle. Over 60,000 kilometres, we consumed in the region of 9,000 litres of diesel. The price of this diesel varied enormously, from around a dollar twenty in the densely populated areas, right up to two dollars twenty in the deep outback. Taking an average of a dollar seventy per litre, our total fuel costs for the trip were in the region of £8000. When travelling, keep an eye out for fuel deals, often a purchase of groceries over a certain amount will entitle you to a discount at the pump, and these discounts will add up over time to significant amounts. Food and drink are obviously something you can’t do without, but are an area where you can save serious cash if you shop carefully. Buy in bulk where you can, stocking up on items that are on offer. If you stick to the value ranges, and aren’t extravagant with your purchases, then you can get by on a fairly tight budget. Of course, if you go the other way and spend all your time in restaurants and takeaways, then you may find yourself over budget fairly quickly. In terms of drink, well, one can’t possibly expect to travel without a beer or two of an evening, again, look out for deals and do your best to keep costs down. Buying a case of beer will always be cheaper than hitting the pubs, but don’t forget of course that you are travelling and having fun, so you can’t expect to skimp on everything! Overall I would estimate that our food and drink budget per person worked out to around £40 per person per week, and then spiked from time to time when we hit a pub in earnest. The dream of course, once you have your vehicle, is to head out into the wilderness and camp for free under the stars for the rest of your trip. Unfortunately, the reality is a little bit different. When you start your trip you are likely to spend a fair bit of time in a hostel as you look for your vehicle and get it ready to hit the road, and whilst this is fun, it isn’t necessarily that cheap in a country like Australia. Expect to pay £10 a night for a dorm bed, and £25-40 for a private room (per person). When you actually hit the road, things will become a better. 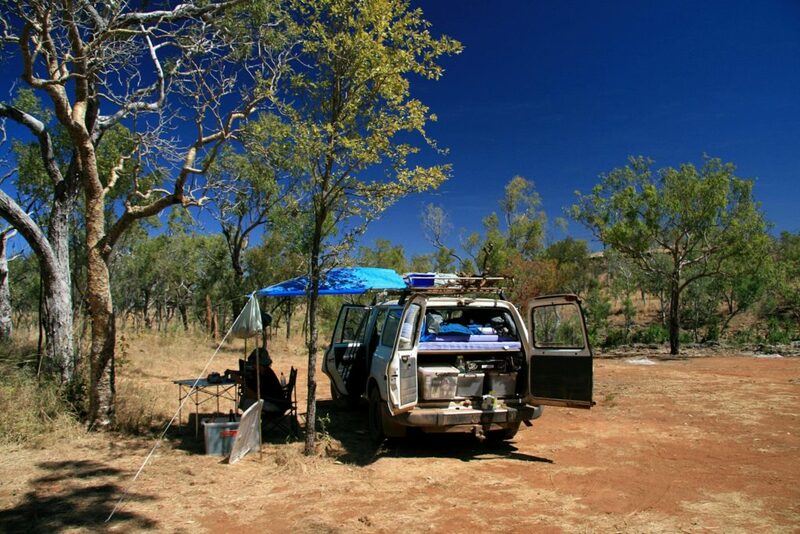 Australia is a very large country, and there are a lot of places where you are legally allowed to camp for free. Often these camps will be very basic rest stops just off the highway, sometimes with a pit toilet, sometimes not. Don’t expect water to be available. But still, for free, what can you expect. If rest stops aren’t your thing, some national parks are also free, although many operate an honesty system of payment. Another option of course are the commercial camp grounds and holiday parks, and here you can pay anything from three or four pounds per person per night right up to ten or twenty depending on location and amenities. On our trip I would say that we managed to camp for free for just over half of the nights, and ended up in paid sites for the rest of the time. An absolutely invaluable asset if you are planning this kind of trip is the Camps Australia Wide series of books, available either at Amazon at the previous link, or direct from Camps Australia Wide. 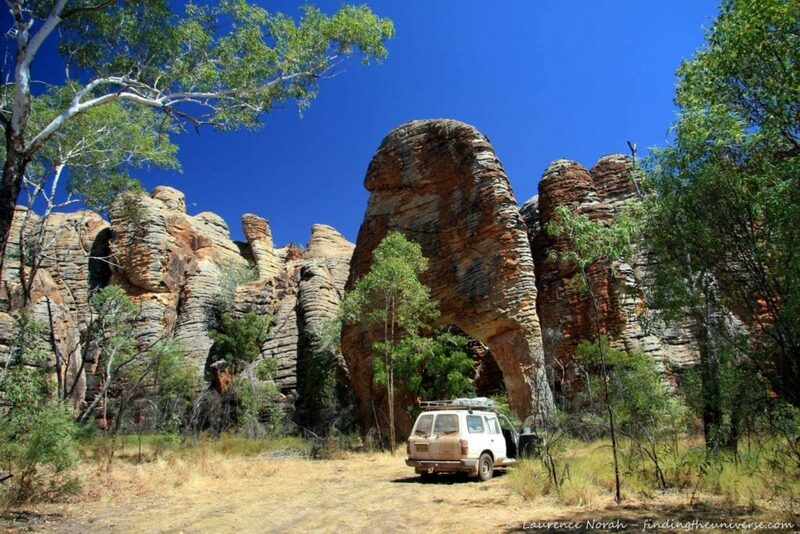 Issued on a fairly regularly basis, these list every free and budget minded camp site around Australia, handily located on a full road map of the whole country. This book, whilst a little pricey to purchase, is absolutely a no brainer on a trip like this. It will save you its cost multiple times over. Extras, of course, are where the price of the trip can sky rocket. There are many many choices of things to do in Australia that are both amazing and often seriously expensive. From sky diving, to bungee jumping, to learning to surf, to heading out to the great barrier reef, to countless tours and adventures, it can all really add up. My advice would be to absolutely do the things you want to do as often these can be once in a lifetime experiences, and money can always be earnt again, but keep an eye on the budget, and if something is likely to wipe six months off your trip due to cost, just weigh the pros and cons carefully before making a decision. On my trip one of the major costs was a trip to Tasmania, which involved taking our large four wheel drive on the ferry. This was not a cheap option, totalling nearly £1000 for the return trip for three of us and a vehicle, but the month we had in Tasmania more than made up for that. Other things we did that cost us more than we would usually spend included a boat ride over to Fraser Island, which was another amazing adventure. In our case our extras probably added up to around £2500 all in, which was a result of being fairly conservative and doing our best to do things ourselves where we could. This includes things you can’t avoid doing, like laundry, and things like festival tickets and what not as we went. By now you have probably started to tot up the various numbers I have been floating around, and realised that my maths is probably fairly dire, as I am way over the £12,000 mark that I put forward initially. The reason for this, and the number one way that you can save money on a trip like this, is by not doing it alone. As soon as you have a travelling companion, your main costs, which will be largely transport based, will be cut in half. Instead of spending £4000 on a vehicle and £11,000 on fuel and maintenance, I was spending a third of that, as for most of the trip we travelled as a trio. Food costs also come down when you are cooking as a group, and sometimes accommodation works out more effectively too. Even if you don’t know anyone who shares your dream of this sort of trip, you will find plenty of people on the way who will be willing to share costs, at least for a part of your adventure. Seriously consider this, as it is the number one way that you will be able to bring your costs down. The other way you can recoup your costs is by successfully selling your vehicle at the end of the trip for as close to what you paid for it as possible. Due to the vagaries of the exchange rate, which had conspired against us throughout the trip at every possible opportunity, we ended up losing only around £400 on our vehicle. So one landcruiser, for a whole year and 60,000km, only cost us £400 in actual vehicle cost. Plus a few thousand in fuel and maintenance, certainly, but that was to be expected. So set aside some time at the end of your trip for the sale of your vehicle, and try your best to get a fair price for it. That was a summary of how I got around Australia for £32 a day. I hope you find it useful. If you are considering a trip to Australia and have any questions, feel free to pop them into the comments or head over to the site’s Facebook page and see what the community has to say. Note – all the prices in this article were converted to pounds at the exchange rate of 1 pound to two dollars. As this in reality fluctuated throughout the trip, prices changed as we went. It’s not something you have any control over, but it can seriously impact how much your trip costs you. Note that some of the links in this article generate me revenue. Yes! you managed to trip Australia in a very low budget. Well done and thanks for sharing your experience with us. oh! you had your trip in a very low budget. But now the costs have raised to some extents. No one can manage what you have. Australia can end up being remarkably affordable! on the beach. It was pretty tough. to start paying me for it all…. wish they went on past thirty…! Oo, you’re going to have an amazing time! The only thing I would say about this post is that the Ozzie dollar is somewhat stronger than when I wrote it, so be prepared to adjust accordingly. Otherwise, have an amazing trip! What a great guide to read as I am leaving in 11 days to begin my one year working visa adventure in Aussieland. I’m checking out all my options and although I’ll be on my own in the beginning (since my partner is currently working) I have passed around the idea of purchasing a vehicle, if anything, just because I’ll be able to sleep in it. Another thing is I’ll be looking for a job, not too sure where or what I’ll do, but this was a good guide for costs. Thank you! I’m with Scott, just love your photos in that post!!! Is that a dSLR and a simple UV filter? HDR? Any tip? Wow Laurence! This is a really thorough break down of costs. I am amazed you did it for such a low daily cost. I think buying a vehicle is definitely the best way to see Oz, and you can sell and recoup costs at the end which is always a bonus. i think it is really important, as you said, to allow room in your budget for those experiences that might cost you a bit more. It takes a lot of time and money to come to Oz you might as well do the things that make it so special. This is a great breakdown, and I agree that the only way to see Australia & do it affordably is to think long-term. As above mate, some interesting reading – did you actually work when out there of just live off ‘savings’? However, once more the most stand out thing for me is indeed the photography…. stunning, absolutely stunning. At least you’ve got a career as a travel writer all sorted now.